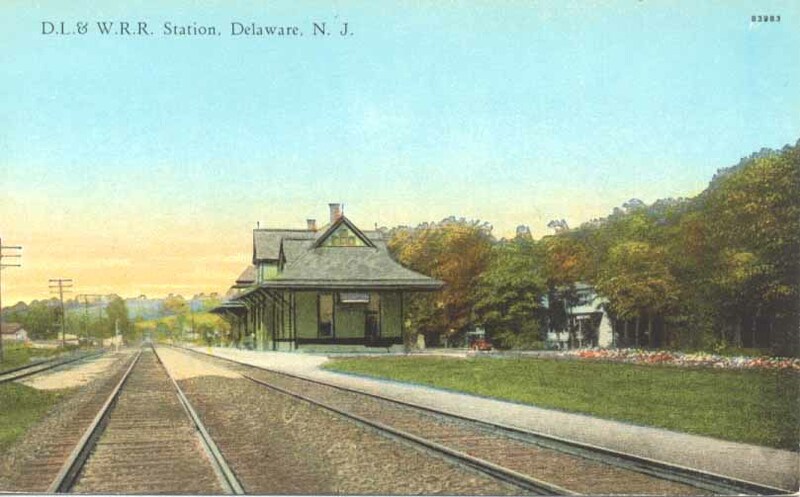 Delaware, New Jersey owes its existence to John I. Blair and the building of the Warren Railroad. In 1856 Blair purchased land in his own name and proceeded to lay out building lots. 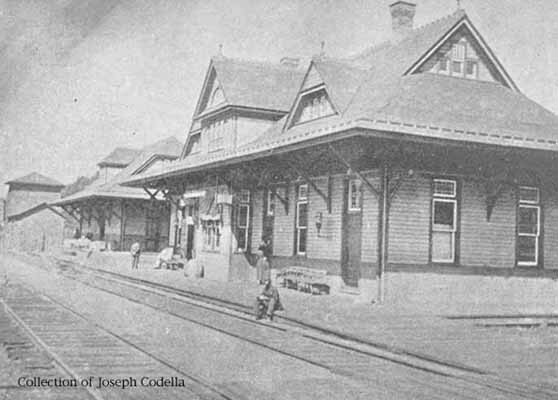 He donated the station site to the railroad. 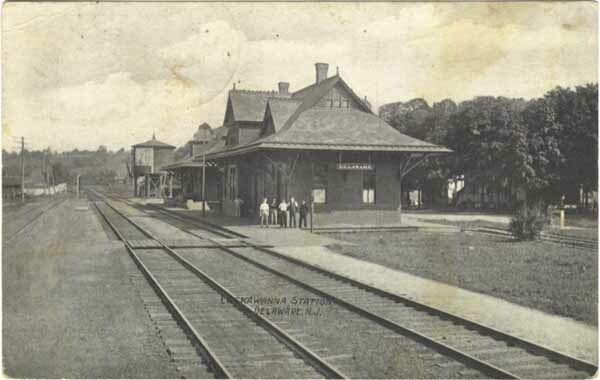 The first station was constructed at this time and was noteworthy as it was the only one on the Warren Railroad to contain a dining facility. The agent was discontinued 1930-34 and the stock yard was removed by 1930. A feed mill, coal company, bulk oil dealer, Bethlehem Steel Co moulding sand were the nearby industries. There was a separate freight house. 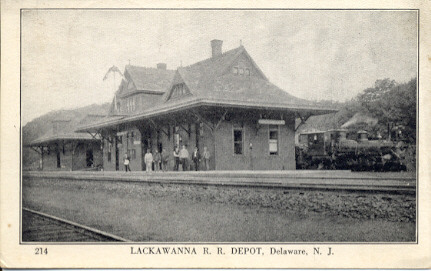 The New York, Susquehanna and Western Railroad (N.Y.S.& W. R.R.) 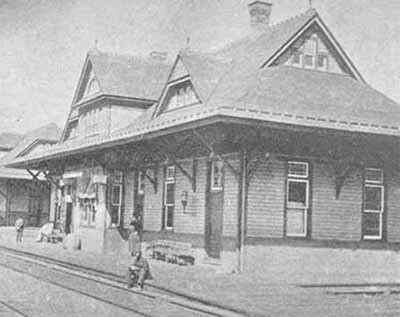 used the station until the station closed in 1943. It was torn down in 1968. The track was abandoned from Delaware to Washington on April 21, 1970. Looking west at station. Susquehanna steam engine. Looking west at station showing water tank. Nice colorized view looking west down the track. 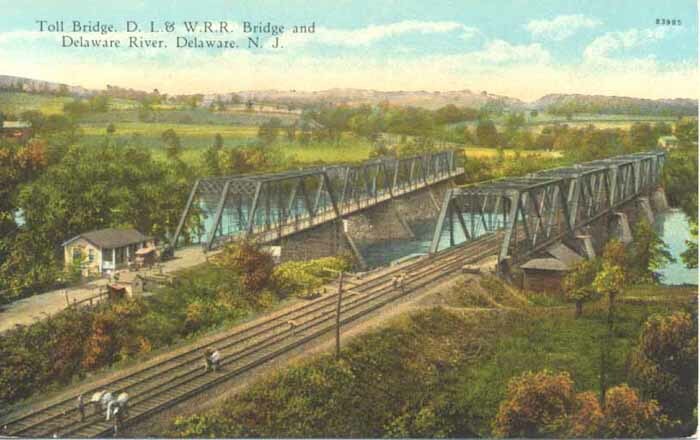 Iron bridge across the Delaware River.